Education was of paramount importance to the German immigrants. Basic education classes were started for their youth in the more populated areas soon after their arrival to Texas. However, this was not the case for rural settlers where more formal education was slower in coming. There are four phases of formal education that existed in the rural area of Comal County during the past one hundred seventy-two years. In the first phase, rural settlers were kept busy clearing the land, building shelters and planting crops. Many times “book learning” was considered a luxury when compared to the necessities of making a living of the land. Many of the settlers had a good education and soon realized that their children did not have the same opportunity in the rural setting. After a while, usually some respectable individual took on the responsibility of teaching children in his immediate surrounding during the approximate 1845 to 1868 time period. A list of some of the dedicated individuals follows: Rev. August Engel (Cranes Mill), Albert Wunderlich (Potter’s Creek near Fischer), Adolph Schlameus (Herrera, Spring Branch, Fischer), Ferdinard Nehls Sr.(Solms),Carl Ohlrich (Smithson Valley), Rev. Louis C. Ervendberg (Orphan Home, Gruene area) and Anselm Eiband (Schoenthal). These dedicated teachers received no outside support except for appreciation and a few stipends from the neighbors for their loosely structured periodic classes. The advancement of formal education throughout the years was very dependent on technical and social advances that existed during the time period. During the first phase of education, walking, riding horseback or in a wagon was the primary mode of transportation. The second phase of education started in 1854 when the law establishing the first public system in Texas was enacted. At this time the county was divided into school districts with three trustees in charge of each district. Many of the schools were established by the local participants, and the State paid each district according to the number of students in the district. There were essentially 29 rural “one-room” schools in 21 “Common” districts in Comal County. The County Superintendent with the help of the County School Board managed all of the rural schools in the County. This era ended in the 1940s. During this phase students used State issued text books and the use of community telephone became rather common. Cars were being added to the transportation system while many homes were still without electricity. The third phase began when the rural population of the County grew smaller since next generation families were smaller in number or found work elsewhere. Many of the scattered rural schools no longer had a sustainable student base to exist. Individual small schools were not able to offer the variety of subjects needed for a well-rounded education. Thus, in 1944, the first Rural High School District (Sherwood Rural High School) was formed in northern part of the County by consolidating eight of the rural schools in the area. The next year, 1945, the Bulverde Rural High School was formed by consolidating six rural schools. The Goodwin Rural High School was formed from seven rural schools in 1949. The final Comal Settlement Rural High School was formed from five rural schools in 1958. The remaining three of the 29 rural schools became part of New Braunfels Independent School District (NBISD). The rural high schools offered instructions through the tenth grade. By the 1940s, the roads had been greatly improved and busing transportation became more practical. The fourth phase of education in the rural County began when NBISD had grown to the point when it could no longer accept the county school transfers to complete their requirements for an accredited high school diploma. Up to this point the New Braunfels High School was the only high school in the county. In November of 1956, the citizens of the county approved the creation of the Comal County Rural High School District with the County Superintendent as its administrator and a single board of trustees. In 1968, the district became the Comal Independent School (CISD). Now the district is independent of municipality, county or state lines, and the board is allowed to hire its own superintendent and deal with the State directly. In 2016, the Comal Independent School District celebrated its 60th year of Excellence is an Attitude motto. As it is well known, many technical changes have occurred during the past sixty years. Community telephones were practically replaced with electronic devices (i.e. cell phones). Electronic communication, with easy updates, has practically replaced books, while television and computers made instant communication possible from almost anywhere in the world. Who knows what the fifth phase of education may be like. 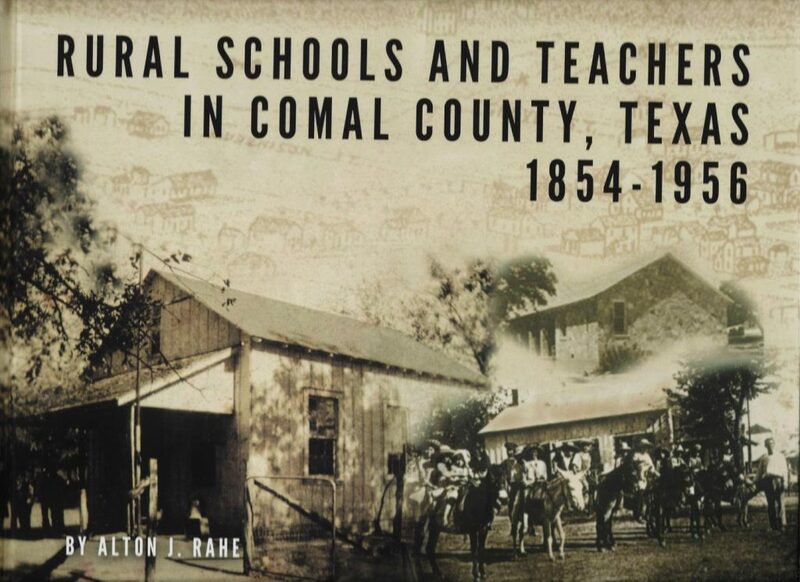 More details on the phases of education can be found in the book entitled Rural Schools and Teachers in Comal County, 1854-1956 by Alton J. Rahe. The book, published in August 2017, is sold at the Sophienburg Museum and Archives and all proceeds from the sales of the book go to the Sophienburg.